DEVON is working hard to spool up Tread 2 production as quickly as possible by recently acquiring a spectacular building in Pasadena, California, which is currently under construction in order to develop it into a hi tech lab. DEVON has also hired a new Production Manager, John Thomas, who brings many years of manufacturing experience to the brand. John is assembling a team of production engineers and watch assemblers, and DEVON is on track to in-source the production and assembly of the Tread 1 watch at the end of this year. This move will assist DEVON in making a dramatic improvement in quality control and customer satisfaction. “We’ve been positively overwhelmed by the demand for Tread 2,” said Ehren Bragg, DEVON’s managing director. 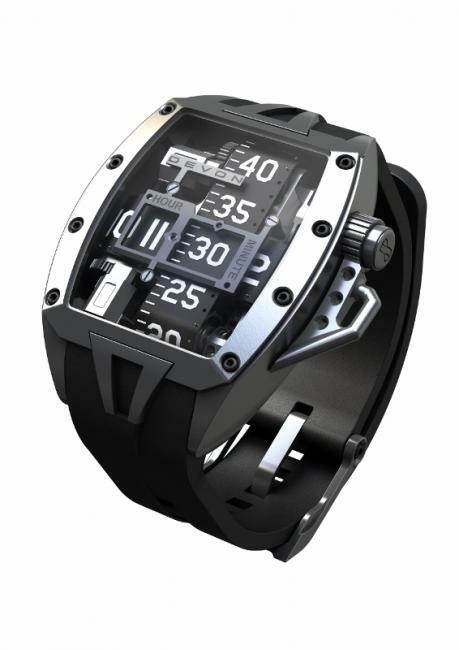 “So far we’ve taken over 300 preorders for the piece before the watch has even hit the market. That represents a full six months’ worth of production that’s been sold based only on photographs and a display of prototypes at this year’s Baselworld watch show.”The lab is in the final stages of development, and DEVON will be celebrating with a grand opening party later this year. Led by founder Scott Devon and headquartered in Los Angeles, California, Devon Works, LLC is a design lab dedicated to creating innovative luxury products that exemplify the American spirit. Devon Works began with the design of the exclusive Devon GTX supercar and continued with the revolutionary Tread line of timepieces.